Shut Up Little Man! merch on sale as we open in more theatres in US! As Shut Up Little Man! An Audio Misadventure opens up in 7 new theatres in the US this Friday (with added engagements in Chicago among other cities) we continue to get our hands and ears dirty in the SU,LM world by bringing out our own movie merchandise. 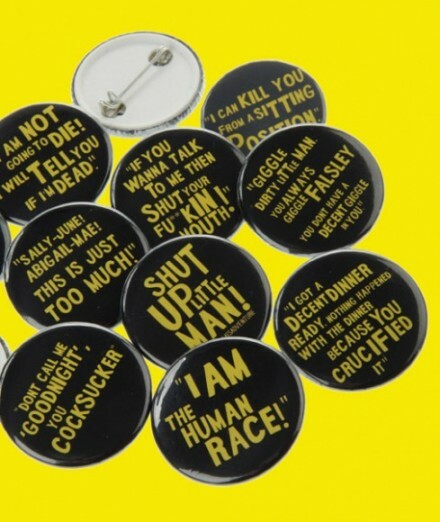 Trade insults with your friends with our favourite Pete & Ray lines with our collection of BADGES and TRADING CARDS or put up your very own film POSTER in your office and point to it as your boss passes by. BUY THEM HERE! and check HERE for details on how you can see SULM in your area.